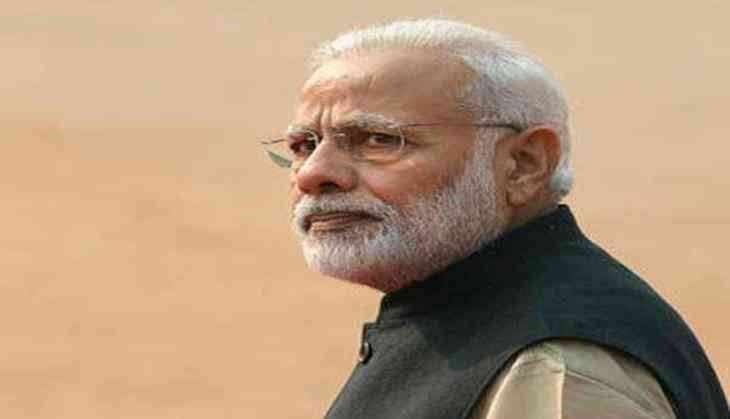 Prime Minister Narendra Modi on Friday exhorted the tax officers to improve their work-culture, to incorporate both a "sense of urgency" and "measurability" in their performance. Addressing tax administrators of both Union and State governments at the Rajasva Gyan Sangam, an annual conference of Central Board of Direct Taxes (CBDT) and Central Board of Excise and Customs (CBEC), Prime Minister Modi asked the officers to fix clear targets to improve country's tax administration by 2022, the 75th anniversary of independence. He said that in order to enable all traders to take maximum benefit of GST, we should work towards ensuring that all traders, including even relatively smaller traders with a turnover below Rs. 20 lakh, should register with the GST system. He asked the officers to make efforts in this regard by designing a system for this category. The Prime Minister asked the officers to fix clear targets to improve the country's tax administration by 2022, the 75th anniversary of independence. Prime Minister Modi said that the Union Government is working towards creation of an environment which shatters the confidence of the corrupt, and instills confidence and trust among the honest taxpayer. In this regard, he mentioned steps taken by the Union Government, such as demonetization, and implementation of stringent laws against black money and benami property. The Prime Minister said human interface must be kept to a minimum in the tax administration's dealings. He asked for a push to be given to "e-assessment" and anonymity of proceedings using technology, so that vested interests do not impede the due course of law. Prime Minister Modi expressed his dismay at the huge pendency of tax-related cases in adjudication and appeal. He said big sums of money that is locked up in these cases, could have been used for the welfare of the poor. He asked officers to come up with an action plan during the Rajasva Gyan Sangam, to eliminate pendency. The Prime Minister asked officers to use data analytical tools to proactively track and determine undeclared income and wealth. He said that though efforts to increase tax revenue are made by officers each year, the estimated amounts of tax that should accrue to the system are often not realised. The Prime Minister asked officers to come up with a time-bound solution to 'tax raised and not realised', and asserted that the honest cannot continue to pay the price for the misdeeds of the dishonest. Suggesting a complete reworking of human resource management in the tax departments to strengthen the data analytics and investigation wing, Prime Minister Modi hoped that the two-day Gyan Sangam would come up with concrete ideas to improve the tax administration.